The transistor noise with three timbres and the glide generator with its unique characteristic. The noise-generating transistors are hand selected and analyzed to ensure that the noise has the same timbre as in the Minimoog. 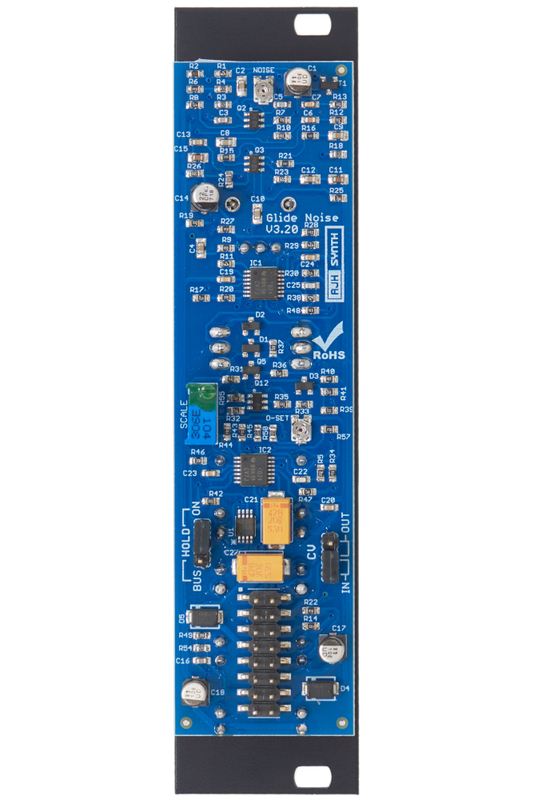 The new Mk2 MiniMod Glide Noise module now has an impressive 14 octave range, and can respond to negative voltages down to -5V. 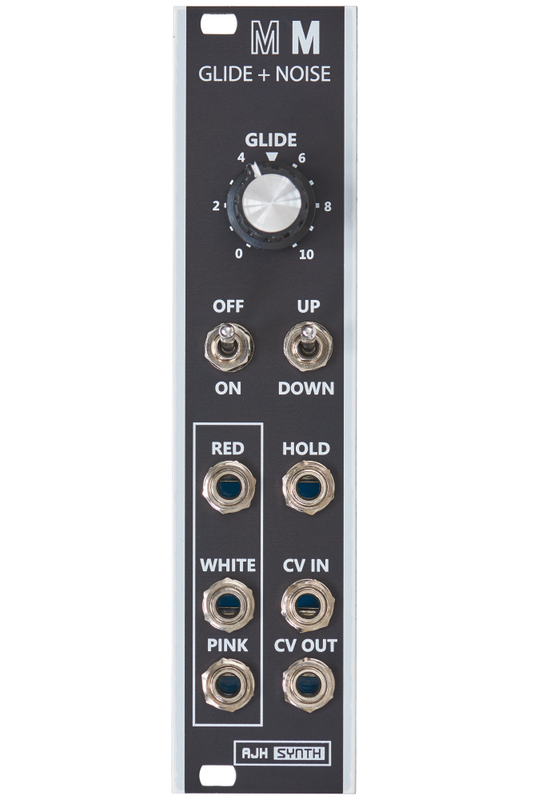 The hold feature has been improved too, it covers the full audio range as well as DC control voltages, and works as a track and hold module with Eurorack signal levels. 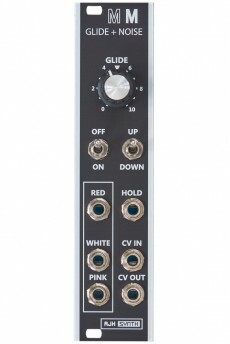 A further enhancement is that the Mk2 module can now (using selectable jumpers) transmit or receive pitch CV to the Eurorack power bus; for example the Glide CV Output can now be directed to the Bus in order to send CV’s to (for example) three VCO's via the bus without the need for a passive multi and four patch cords! 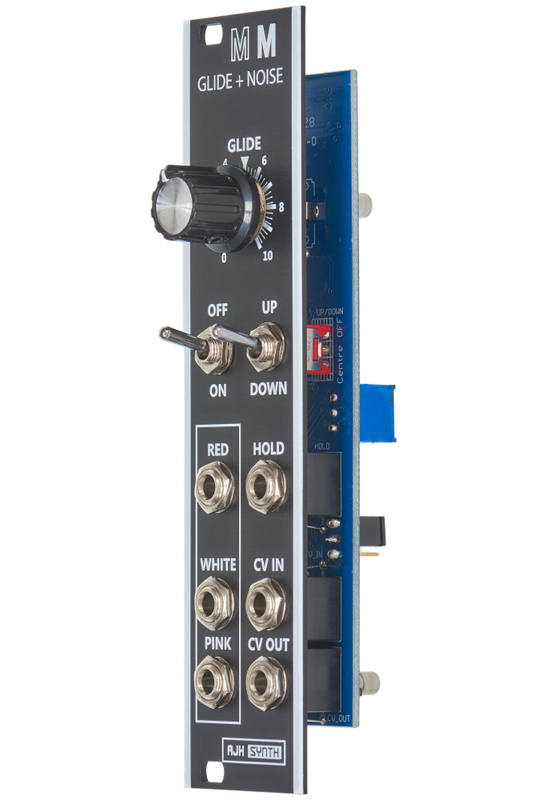 The Noise section of the module is unchanged, except that the output level of the Red Noise has been slightly boosted to bring it more in line with Eurorack control voltage levels. Lastly, it is much shallower than the Mk1 Glide. The new MK2 version is only 28mm deep, so it allows to be mounted into shallow skiff style Eurorack cases.